Drug companies that make vitamin supplements are not exactly ecstatic these days. 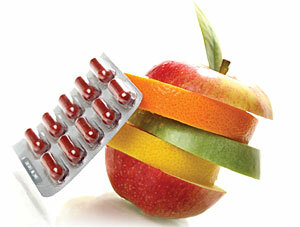 Recent medical journal data show the benefits of taking vitamin supplements may be exaggerated. It is well established only to ensure an adequate intake of folic acid (B9) in young women and B12 and vitamin D in the elderly. biologically-active substances (vitamins) should not be assumed to be risk free. A pooled analysis of data from 26 clinical trials including 105,065 subjects found that vitamin E supplements were associated with an increased risk of death. Similarly, another study of 11,350 people showed that preventive use of over 200 mg of vitamin C per day did not reduce the risk of developing a cold or the severity of cold symptoms. So much for the sugar-flavoured vitamin C pill you popped this morning. Vitamin D supplement, however may be useful in the elderly, especially those with dark skin with limited exposure to sunlight. Vitamin D will strengthen bones and prevent fractures. Older people may not be able to absorb vitamin B12 found in meat and fish. Folic acid (B9) deficiency leads to birth defects which occur early in pregnancy before most women know they are pregnant. Folic acid is available in beans, peas, oranges and dark-green vegetables which we do not seem to get enough of. Hence supplementing the diet of women of child-bearing age with folic acid has decreased the incidence of these birth defects in their offspring. Neither do vitamin supplements seem to prevent heart attacks, strokes and cancer, diseases prevalent in both the rich and poor worlds.